Shred it. Chip it. Mulch it. A landscaper's delight, and a homeowner's dream. 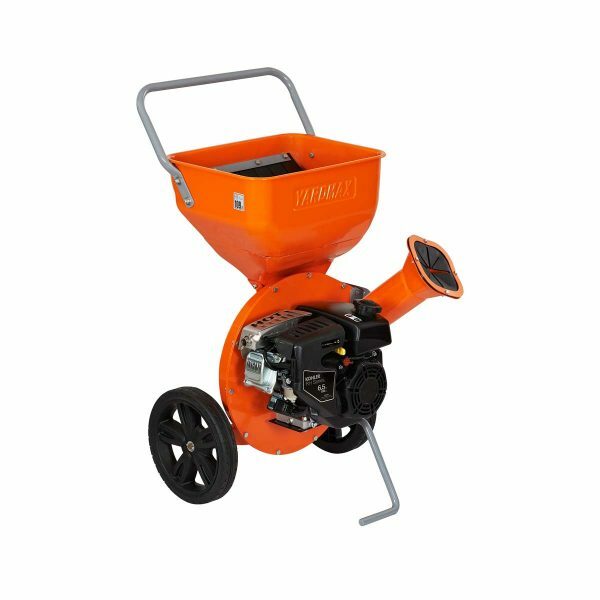 The YARDMAX 2-in-1 chipper is a highly versatile and durable short hopper chipper that efficiently mulches yard waste, and is easy for any homeowner to operate. The efficient, self-feeding system easily turns branches (up to 3″ diameter) and other yard debris into mulch, compost or wood chips, without extra prep or pruning. Shop the Yardmax yard cleanup crew.